It’s the one day of the year when music retailers across the country roll out the red carpet to show once and for all that the concept of a record store is by no means a concert of the past. 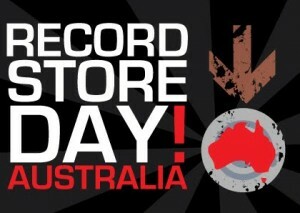 Yes, it’s the annual Record Store Day, which in its fifth year will once again invite music fans to head into their local retailer for a bunch of special offers, exclusive deals, limited edition releases and in some cases, even live performances. Though more details about this year’s event will be forthcoming in the weeks ahead, the best thing to do at this stage is to mark Record Store Day down on your calendar… Saturday April 20.